Innovative medicines can have significant impact on individuals who would otherwise have suboptimal management of their condition. The path to acquiring these medicines can be difficult. 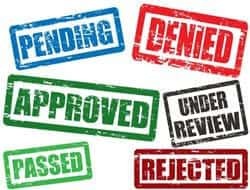 This article highlights some of the barriers that both patients and providers face with the prior authorization process and how to overcome these challenges. Patient barriers to accessing innovative medicines often include insurance coverage and cost of the medication. High out of pocket expenses to acquire these medicines can prevent patients from receiving them even if they have prior authorization. Discount cards available from the pharmaceutical companies are often not available to Medicare, Medicaid, or Tricare patients and patient assistance foundations are often underfunded. Providers who have access to medication samples can help some patients acquire these medicines and offset some of the cost. I currently see patients in a lipid clinic and have worked on over 70 prior authorizations for PCSK9 inhibitor therapy (PCSK9i). One cannot underestimate the importance of a thorough chart review and accurate documentation of the patient’s clinical diagnoses (need for therapy), recent laboratory data, current lipid lowering therapy regimen, treatments tried and failed (including the medication in both brand and generic name, dosage tried, length of therapy, reason for discontinuation, and recognition of a re-challenge of the medication to ensure that the side effects were directly related). Missing information and lack of supportive research data can lead to a denial by the insurance prescription plan. A study by Cohen, et al (2017) published in the Journal of Clinical Lipidology surveyed 434 providers and personnel who work with patients with lipid disorders and found that 96% of the respondents have received initial denials on PCSK9 inhibitor prescriptions and 97% of those respondents took further action. An appeal is usually attainable and often can occur after providing any missing or misunderstood information. Patients willing to call their insurance provider to challenge a denial can also help with the appeal process and attaining approval. Medical staff support is essential because the prior authorization process is time consuming and difficult to complete during a typical clinic day. Cohen, et al (2017) found that 50% of the study respondents spend more than 1 hour per week on each patient’s prior authorization. Most of this time is spent either trying to speak with someone on the phone to perform a peer-to-peer review, completing all the necessary paperwork, or filing an appeal. This can lead to staff burnout and pose a barrier to optimizing patient management. An additional barrier to medicine access is that even though patients have received a prior authorization in the past it does not guarantee that the patient will get a re-authorization in the future. This can add further exhaustion because a re-authorization process is typically required every 6 to 12 months. An evaluation of the response to innovative medicines and seeing improvement in a patient’s condition makes me face the challenge and work that much harder for my patient. Access to innovative medicines is achievable with accurate documentation, patience, persistence, and patient/provider commitment. I encourage you not to give up on helping your patients acquire innovative and necessary medicines. We need to come together as providers to navigate the healthcare system and overcome this challenge. Reference: Cohen, et. al (2017). Barriers to PCSK9 inhibitor prescriptions for patients with high cardiovascular risk: Results of a healthcare provider survey conducted by the National Lipid Association. 11(4): 891-900.